You’re invited to a special panel discussion and luncheon featuring top experts on Doing Business in Nevada hosted by the Innevation Center. This event will be Wednesday, May 14 , 2014 from 11:30 a.m.-1:30 p.m.
What makes Nevada a great place to locate a business? What legal developments are on the horizon to keep it that way? What changes are being made in Nevada to protect businesses? Is Nevada just as desirable as Delaware for incorporation? What kind of support can Nevada businesses expect from state and local government offices? Seating limited to 100 attendees – register in advance to guarantee seating. No on-site registration will be available. Admission is $30 for UNLVIP members (before May 6) and $40 General admission (before May 6). On May 7, registration rates go to $45 for UNLVIP members and $50 for general alumni and non-members. Registration fee includes luncheon. Mary McElhone is the business licensing manager for the City of Las Vegas. She supervises general business licensing, regulated and privilege licenses (liquor and gaming), field enforcement, revenue account audits, billing and renewal, and commercial property compliance. Jacqueline Holloway is the director of business licensing for Clark County Nevada. She is responsible for the issuance and regulation of liquor, gaming, and all other business licenses in unincorporated Clark County, which include the Las Vegas Strip. She is also responsible for film and special event permits, business development, investigations, compliance, and code enforcement. Adam Kramer is the vice president of InNEVation and chief of staff for the Nevada Board at Switch SUPERNAP. Previously, Kramer was the director of entrepreneurship and Vegas young professionals at the Las Vegas Metro Chamber of Commerce. His start-up – Coupla.co – won third place at Startup Weekend Las Vegas in 2013. Robert Lang, PhD is the UNLV director of Brookings Mountain West and a non-resident senior fellow at the Brookings Institution. He is also the executive director of The Lincy Institute at UNLV, a professor in the Greenspun College of Urban Affairs, and a fellow of the Urban Land Institute. Lang is a nationally recognized authority on urban growth, economic development, and population dynamics, including the interplay between politics and growth in the American West. Get more information about this event on The Innevation Center’s blog here. 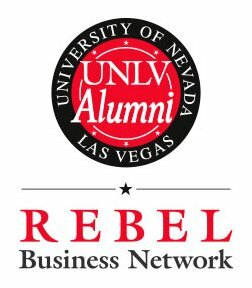 About Rebel Business Network: In 2012, the UNLV Alumni Association launched the Rebel Business Network. The network offers a quick and easy way to connect with fellow Rebels in the business community. In today’s economy, alumni can help each other by networking and seeking products and services for personal and business needs through fellow alumni in their area. See upcoming events and learn more about the benefits of joining here.